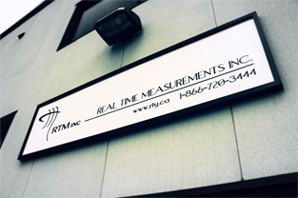 In business since 1995, Real Time Measurements Inc. is an independent Canadian company with its headquarters in Calgary Alberta Canada. RTM supplies the oil and gas industry with technologically advanced downhole and surface electronic pressure recorders. The RTM line-up of downhole and surface memory pressure recorders are designed and built using industry leading technology with a focus on reliability, measurement quality and operational ease of use. The “K” range of products covers a wide selection of downhole pressure recorders including both strain and quartz models. Recorders are available in a variety of outside diameters, pressure ranges to 15K psi and a side pocket mandrel version as well. RTM “K” pressure recorders feature batteries enclosed in the welded recorder housing for maximum reliability and operational ease of use. Please visit our online catalogue to see the latest product line-up.